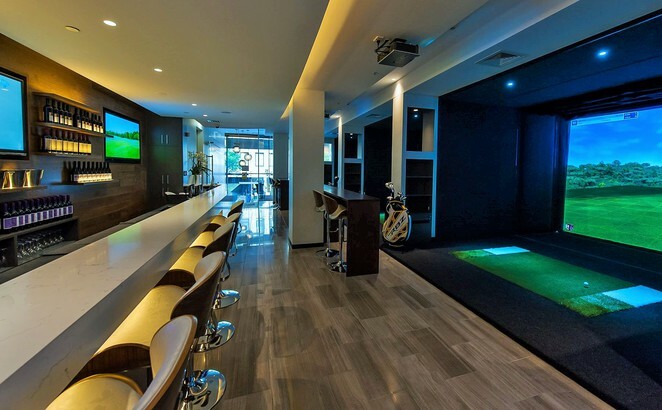 I started to hear rumours about a new golfing venue, Golf in the City, in the heart of the Sydney CBD. With a rush of nostalgia, I was curious and so went to see after work what it was all about. 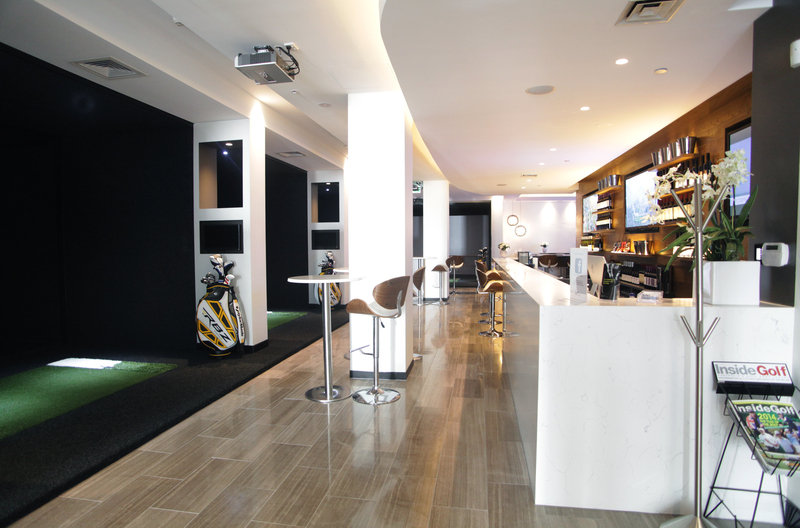 Located on Spring Street (just behind Australia Square) in the Sydney CBD, about 5 minutes' walk from Wynyard station, Golf in the City is not just an indoor golf venue. It felt like an airport lounge. I think it was the white clean lines of the swish bar area, you would see in the Qantas Club airport lounges – an ideal setting for business networking. It was not until I heard the whoosh of a swing and a smack of a golf ball, I turned to see the line-up of golf simulators. There are six golf simulators, each fitted with state of the art golf simulation technology from Full Swing Golf (visit fullswinggolf.com) where you can replicate the playing experience in over 80 courses around the world. 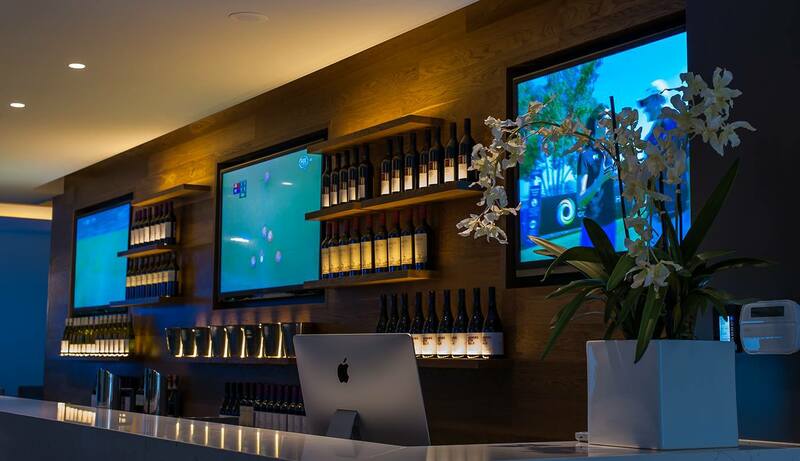 The full sized screens contain the clearest graphics you can get, providing that real golfing experience, minus the possibility of the wind and the rain. Lessons, Practice, Course – these are the three things you need to become a better golf player and as a busy city professional I can't even get to the first two, let alone the third. At Golf in the City, you can do all of this in the one location, you don't need to spend valuable time travelling in your car, hauling your clubs to a driving range (top of the range clubs and balls are provided by the venue), you don't need the golf attire, adhere to the course rules, you won't get sunburnt, you won't need an umbrella due to unpredictable weather conditions,... and you can avoid snakes if you've hit the ball in the rough (yep, I've experienced that one before). Just turn up after work for a game followed by drinks once you're done. I was initially greeted and guided by Jason Wood, a golf professional with over 20 years' experience from the Nike Golf Academy. 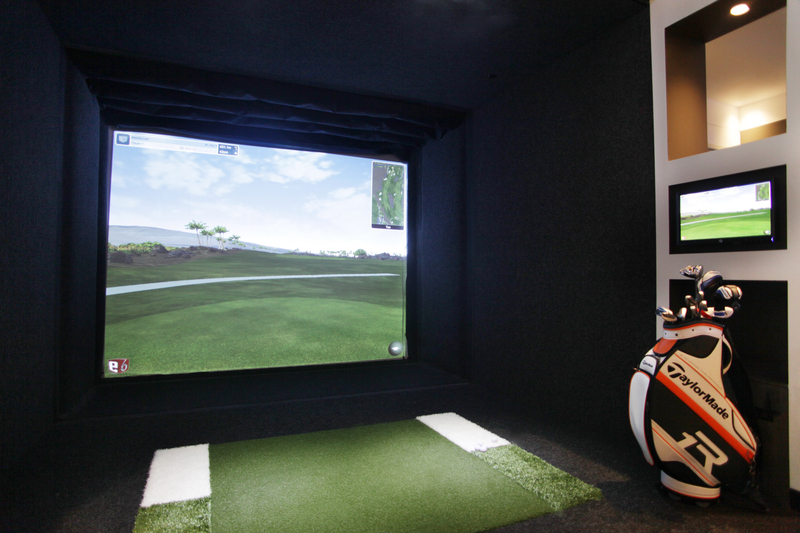 The simulators are fitted with two cameras so that your ball's trajectory is measured twice for accuracy, unlike the ordinary driving range where you can't actually see where your ball has landed (you only know that you've either sliced it to the right, hooked it to the left or hit it 'somewhere' straight down the middle). On the ground, there are three patches – the fairway; the bunker and the rough. Each of these patches have a different feel and texture, intended to give you the experience of playing on these three areas as if you were on an actual course. I teed off at 'St Andrews Golf Course'. Not surprising, pretty flat first time round. It takes a bit of getting use to not only because it's been so long since I last played, but because I had a mindset that I was hitting a ball into some brickwall that's about 2.5 metres in front of me and thought what if it bounced back. It doesn't of course because it's not a brickwall that you're hitting into. Mindset adjusted to pretend I was actually on the course and the result…better, the ball trajected further. I saw the ball's 3D trajectory as if you really have hit it onto the fairway. So I continued…second hit, the ball landed in the bunker so I moved the ball to the white area which had the texture of sand to replicate the feeling of playing in the bunker. The stroke resulted in a landing on the putting green. Jason handed me a putter. Too hard this time…and the ball rolled off the putting green. My short game never was that great. But I got the hang of it. My confidence returned and within a few minutes I was engaged and immersed into this unique experience. Now that I was in the 'golfing' zone, Andy Pharro, a golf instructor on site at Golf in the City, showed me the performance studio where you have lessons. Andy's background is impressive. Andy Pharro is one of the top golf coaches in the UK, former director of London's oldest and most successful golf academy, the Knightsbridge Golf School. Not to mention a former full time player on both the PGA Master Card and European Challenge Tours. I knew I was in good hands when it came to tuition. The performance studio is fitted with swing catalyst technology – a 3 camera system that takes images of your swing from above, behind and in front to capture your body movement. The camera captured my first swing without any tuition and watching the replayed images, I could see exactly what I was doing wrong. I wasn't bending enough so that put resistance onto my upper body swing transferring the power to the arms which meant the swing was flat. Through Andy's guidance, I adjusted my stance and swing, and drove the ball far. This time…sweet and Andy awarded me with a, "High five! Awesome shot!" Golf in the City gives everybody (whether you are a golfing enthusiast or new to the game) an opportunity to learn, practice and play the game of golf at an all in one convenient location. It's also well-equipped and a great place to hold corporate events. I had fun. To be honest, I never thought I would play again but Andy and Jason have now convinced me otherwise. They should be congratulated for reconnecting me with the sport. It's time to wipe the dust from my old clubs and play the game again.